The past month-and-a-half have been extremely busy for the Duggar family. Since the beginning of June, they have celebrated seven birthdays (Marcus Duggar, Michael Duggar, Anna Duggar, James Duggar, Samuel Dillard, Meredith Duggar, and Jim Bob Duggar), welcomed two grandchildren (Garrett David Duggar and Felicity Nicole Vuolo), and pulled off a wedding (Josiah and Lauren Duggar). To top it all off, today is Jim Bob and Michelle's 34th wedding anniversary. Last year, they took a trip to Kauai, Hawaii. With all of the festivities that have taken place this summer, they might just want to celebrate with some relaxation. 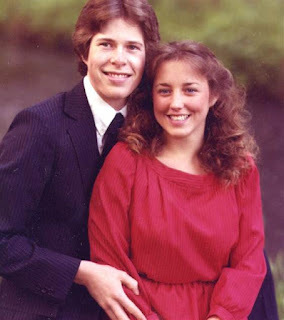 Happy anniversary to the Duggar matriarch and patriarch! 34 years? That means Jim Bob was barely 19 when they married. No wonder he thinks his children should marry at a young age. Michelle was only 17 when they married. I agree that is why they think there is nothing wrong with young people getting married. Jim Bob was 19 and Michelle was 17 when they got married. Probably spending it in Laredo. isn't the bride's family the one who "pulls off a wedding?" Usually the groom's family has minimal work to do for a wedding. Not today. Now it usually takes, the bride, the groom, the bride's family and the groom's family all working together to pull off a wedding. I know in previous duggar weddings the grooms family pays for the rehearsal and the bride's for the wedding. But it looked like both sides helped set up and prepare for both. But in my circle the cost is usually covered by the couple not the parents. Michelle was and is still a beautiful bride, and Jim Bob seems like a great husband. No wonder God blessed them with so many children. These two really make marriage look easy. Congratulations to them both. So, just curious, does God only bless attractive people with many children? I have a hard time believing that God is so shallow as to look at our outer appearance when deciding who to bless. It's easy to say that God blesses deserving couples with children. It's not so easy to explain why other deserving couples get none, is it? So maybe we're giving the credit to the wrong place. My husband and I are both combat veterans and married for 17 years without the luck/grace/blessing of kiddos, guess we’re bad and homely people as well. Maybe it's just me, but I wasn't able to have children, I'd keep my distance from the Duggars. I wouldn't want their extraordinary fertility rubbed in my face while I couldn't have the children I so much wanted. 11:14 AM-Thank you to both you and your husband for your service to our country. 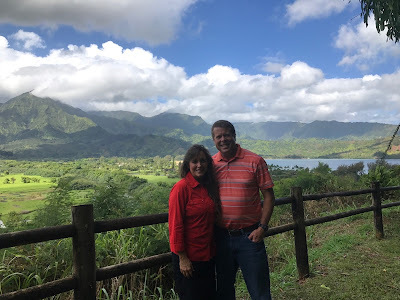 What a blessing it is to have GOD, a wonderful husband and family. Good for them. They look like any other middle aged couple. I hope they celebrate with a vacation. Happy anniversary!! I see Michelle in all the young ladies. She hasn't aged much since that picture even though it has been 34 yrs. Congrats on your large growing family. I think she looks a good deal older, but that's just my opinion. I agree.Her long hair ages her . I think shoulder length would be flattering. I think Michelle's looking good since she's been able to shed baby weight, change her hair style a bit, and probably sleep better! HAPPY ANNIVERSARY!! My hubby and I are right behind you - we celebrate 34 in December of this year. May God continue to bless you both! You both are a beautiful and wonderful witness to us - we miss you on tv!! Nice Job Jim & Michelle! Not many make it past 5 years. My parents would have celebrated 52 years in April but my mom past away last July. Happy anniversary I hope you have many more blessed years. Wishing you many more anniversaries filled with love,joy and blessings. God Bless. Congratulations Jim Bob and Michelle. Wishing you many more years of wedded bliss! And more babies, it's still not too late to make it an even 20! More babies? At their age?? They had big trouble with the last ones. I wouldn't wish more trouble on them.